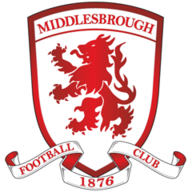 Middlesbrough boosted their promotion hopes with a 3-2 win at QPR to move them up to second in the Championship table. Jamie Mackie scored a stunning equaliser after Jordan Rhodes had put Boro ahead, but the visitors took control in the second half at Loftus Road. Gaston Ramirez headed the visitors back in front from a corner after goalkeeper Alex Smithies had saved Grant Leadbitter's penalty six minutes after the break. And Ben Gibson also nodded in from a corner five minutes later - the centre-back's first league goal of the season - before Tjaronn Chery scored for Rangers late on. Boro's victory came after three consecutive away defeats and lifts them above Brighton & Hove Albion, who face leaders Burnley on Saturday. Boro went ahead after 17 minutes when Rhodes capitalised on an error by Grant Hall to score just his second goal since his move from Blackburn Rovers two months ago. Hall misjudged Leadbitter's punt forward and his failure to head clear allowed Rhodes to latch on to the ball and round Smithies. Rhodes scuffed his left-footed shot from an awkward angle, but that left Hall off balance as he attempted to clear off the line and the defender was unable to keep the ball out of the net. Mackie hauled Rangers level just after the half-hour mark with his first goal since returning to the club last summer. He prevented George Friend from clearing Alejandro Faurlin's free-kick and was quick to the resulting loose ball, turning and firing a ferocious volley from the edge of the penalty area which crossed the line after striking the underside of the crossbar. The goal galvanised Jimmy Floyd Hasselbaink's side and they finished the half strongly, but within 11 minutes of the restart they were 3-1 down. Smithies dived low to his right to tip Leadbitter's spot-kick behind after Faurlin had fouled Albert Adomah on the right-hand side of the penalty area. But Leadbitter responded with a corner towards the near post that was headed in by Ramirez after the Uruguayan had got in front of Hoops defender Gabriele Angella. And when Rangers again switched off at a set piece, this time when Gibson drifted away from Nedum Onuoha, they were punished once more. Again the goal came from a corner immediately after a fine save from the in-form Smithies, who pushed away a powerful drive from Friend. Smithies also did well to deny Rhodes when the striker found himself through on goal after Adomah had got the better of Angella. 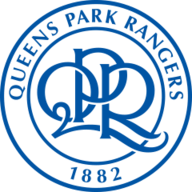 QPR thought they had pulled a goal back when Sebastian Polter tapped in, but the ball was adjudged to have gone out of play before Junior Hoilett had diverted it towards the German striker. There was no room for doubt, though, when Dutch midfielder Chery scored in his fifth consecutive home match, firing into the corner from 25 yards with four minutes remaining.